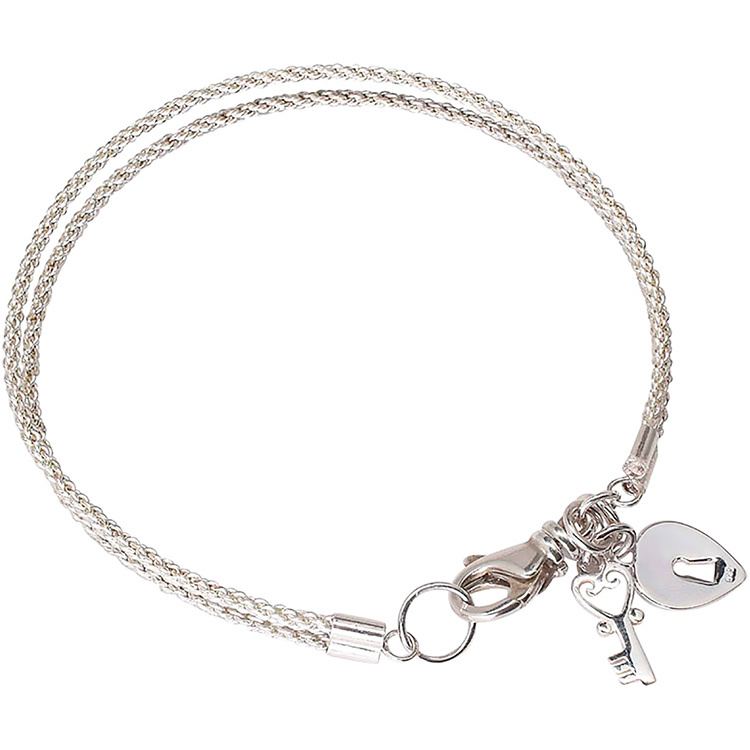 Simple and to the point, a double strand Sterling Silver mesh Bracelet with a Key and Heart charm. As we make these ourselves, we can accommodate any wrist size. Just put in comments as you checkout.